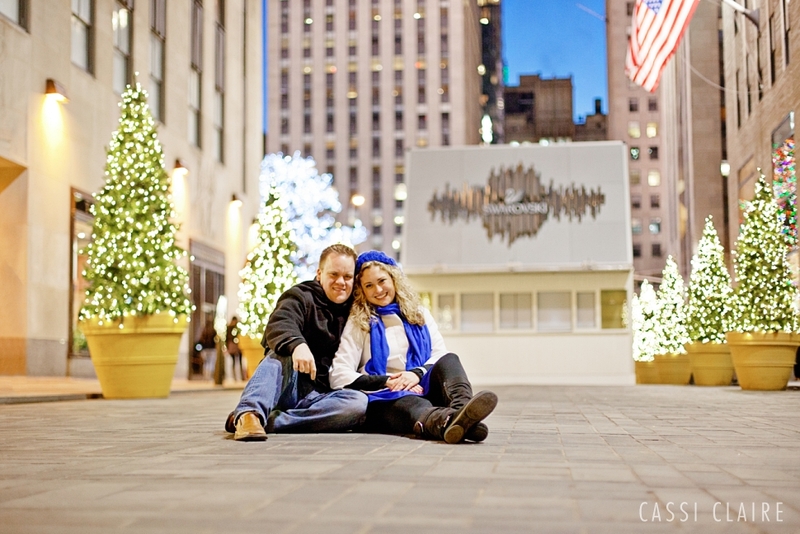 This proposal was at Rockefeller Center was especially meaningful to me for a few reasons. The first, my husband Christopher proposed to me on the Rockefeller Center almost exactly a year ago and it was amazing to re-live the experience with this fantastic couple! The second, I know the bride-to-be! Sarah and I have known each other for years from our time working together at an Adirondack resort, CAMP-of-the-WOODS. The funny twist to this story is that Josh contacted me not knowing that I was friends with Sarah. In fact, we had already planned out the entire event before Josh emailed me a photo of him and Sarah so that I would be able to recognize them on the engagement day. I nearly jumped out of my seat screaming "I know her!" I felt like Elf. Josh and Sarah have such an amazingly unique relationship. Josh refers to himself comically as "The Deaf Chef" as he became deaf at the age of one. As fate would have it, Sarah has a huge heart for Speech Language Pathology and can sign fluently. It was amazing to watch! Josh had all of the timing planned perfectly (which we all know I love and appreciate!). He put so much effort into making the whole day perfect for Sarah!